Home > News & Resources > What Steps Are Needed After An Auto Accident In Charlotte, N.C.? 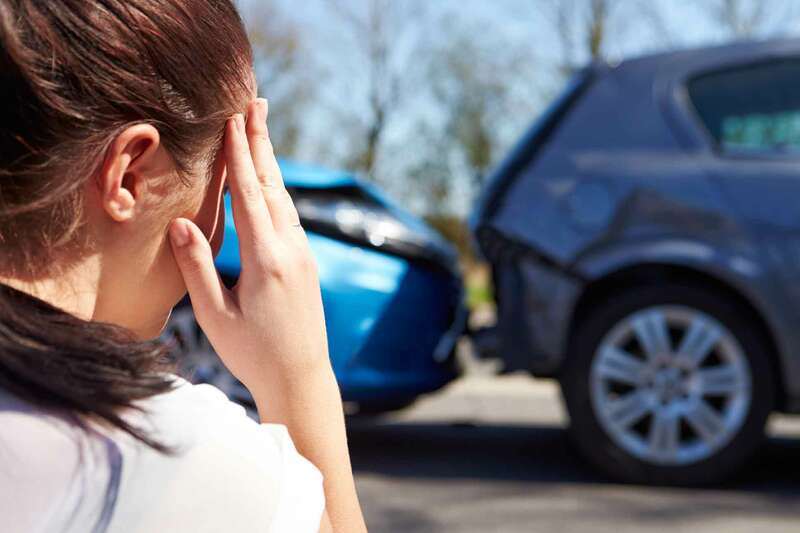 Regardless of the cause of your auto accident in Charlotte, North Carolina, there are important steps that you need to take, which can be difficult when emotions are running high. You may be in shock, but if you can move and take action, you should know what is expected of you. If you are not able to move, then you should avoid trying to once you realize it, and stay still until help arrives. You may be able to do no more than call for help, and if this is the case, then that’s all you need to do. However, if you are able to tend to your injuries or the injuries of others, then that is where you should start. Not all auto collisions are so severe that your first concern is going to be injuries. There may be no injuries at all, yet you still have to stop at the scene. Failing to do so could lead to you being charged with a hit and run. If you stop at the scene and you do not observe any injuries, then you can focus on exchanging information and notifying the police that an accident has occurred. If you do see injuries, then you need to call 911 and try to help. Whenever you get into an auto collision in Charlotte, North Carolina, and if you are not too injured to help others, then you are Charlotte, North Carolina auto collision attorney expected to do so. In fact, you could get in trouble for failing to attempt to help someone who is injured. It is your responsibility to call 911 if necessary and to get an ambulance at the scene. If someone is bleeding, then you should try to apply pressure to stop the bleeding. If someone has a broken bone, you should not move them, but do your best to keep them calm until help arrives. If someone is not breathing, then you should try to provide CPR. If you don’t know how then find out if anyone else at the scene does and call 911 for more information and help while you wait for the emergency responders to get to the scene. A 911 operator can help to keep you and others calm while also giving you instructions for providing first aid and potentially saving lives. Typically, you are supposed to avoid moving injured persons to prevent their injuries from becoming worse. In cases where there is spinal damage, you could cause much more harm than good by moving someone. Having said that, if a vehicle is on fire or if someone is at risk of further harm, then you may have to move them. If you do, and if that causes more harm, then you won’t be held responsible because you tried to help. Once you’ve addressed injuries, you can start collecting evidence and information. You can take photos of the scene, of injuries, of property damage, of road hazards, etc. You can also obtain the insurance information and contact details of everyone involved. You can get witness statements, and write down what you remember about the incident. If there are passengers or other drivers who are not involved, you can get their contact information and statements too. When the police arrive on the scene, get their names and information. Ask where you can get a copy of the police report. If anyone is driving a vehicle that they don’t own, get the name and contact information of whoever owns the vehicle. You can also make a diagram of the road with information about the auto accident that you recall while it is fresh in your memory. This could be helpful later. Writing down a description of each involved vehicle will also come in handy in case anyone tries to deny that they were involved. If you believe that there were any road hazards or signs that were ignored, take pictures of those and write down your reasoning. In fact, if you have any doubts about what you should take pictures of, just take as many as possible. You can even write down how fast you belief each vehicle was going, and include all details about each action taken by every vehicle as well as you can remember. Your attorney will be able to use this information to get a better idea of what happened and why, as well as who is liable. When the police arrive, you’re going to have to cooperate by answering their questions. However, you do not have to provide information of which you are not certain of the answer. This includes any discussions of who was at fault. You can only say that you don’t know. You should not make accusations or apologize. You should not accuse anyone of speeding, but rather tell the police how fast they were going. It is better to say, ‘he was going about 80 miles per hour’ rather than saying, ‘he was speeding.’ Be careful about what you say to others after a Charlotte, North Carolina, auto accident, because you do not want your words to be used against you. You may be contacted by an insurance company soon after the collision, but you should avoid saying too much to them also. Contact an experienced attorney before you reveal too much about the collision with anyone. It is perfectly acceptable to say, ‘I’d like to speak with to my attorney before discussing this further’ when an insurance company calls to question you about the claim. Contact the attorneys at Brown Moore & Associates, PLLC, after any Charlotte, North Carolina, auto accident to schedule a consultation and learn more about your rights and options for pursuing compensation for your damages.